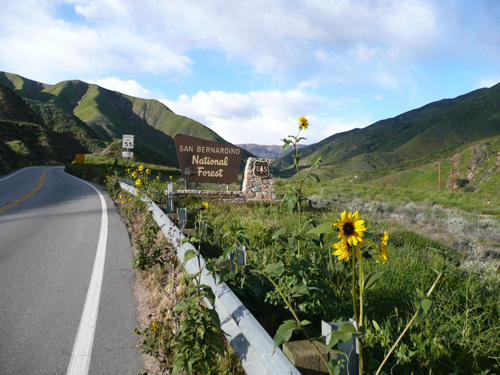 Driving Hwy 330 to Big Bear Lake can be daunting, but it doesn’t have to be. When I first started to make this journey, I was anxious about all the curves and the uphill climb. Now that I’ve done it a zillion times, it’s not a bad drive. Here’s how to make the drive easier. First: Go slow. Don’t worry about getting to the Lake at a certain time. Safety is more important. Drive as slowly as you feel comfortable. Second: Pull Over. You’re driving slow and that’s ok, but use a turn out as soon as you have a car behind you. The road has turn outs all along it and it’s the law that slower traffic MUST pull over for faster cars. Third: Enjoy the scenery by taking breaks and getting out of your car. The views are fantastic and depending on the weather and time of day, you’ll get a different one every time you go up. This entry was posted in Driving and tagged Big Bear Lake, Hwy 330, Mountain drive, uphill climb. Bookmark the permalink.